In the aftermath of Nepal’s recent earthquakes, DAI staff have raised £1,000 to support a Kathmandu orphanage home to 12 children. The fundraising effort was led by London-based project manager Cari Wood, whose family has supported the Grace Home Orphanage since 2000. The orphanage was founded in October 2000 by D.R. 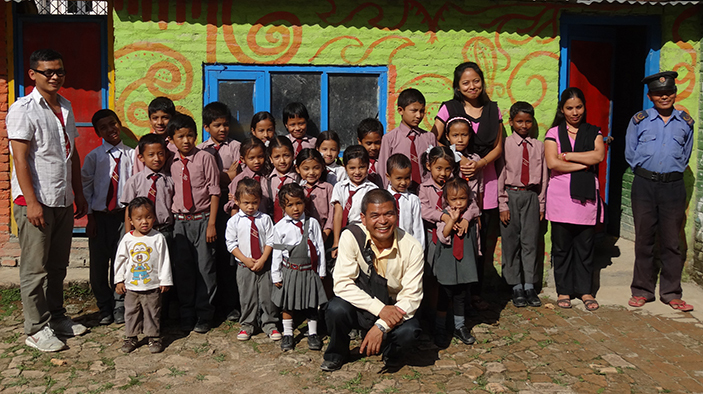 Thulung, a former sherpa who now works as a local tour guide in addition to his responsibilities at Grace Home. A few years later he also set up Grace School, where teachers volunteer their time to give less fortunate children access to a basic education.